On 30th July 2013, Grappenhall Cricket Club hosted its second Legends Day, but this time, it was bigger and better than the 2011 event. It was the brain child of club patron and former Lancashire and England cricketer Neil Fairbrother over a few pints at the start of 2013. Having run a very successful event in 2011, Neil, who was working with the PCA to run masters cricket matches across the country against the Australian Cricket Association, decided it was to goon an opportunity to miss with the Aussies over here. Neil being Neil though, wanted to make this a unique event unlike the other masters events taking place at other cricket clubs in 2013. 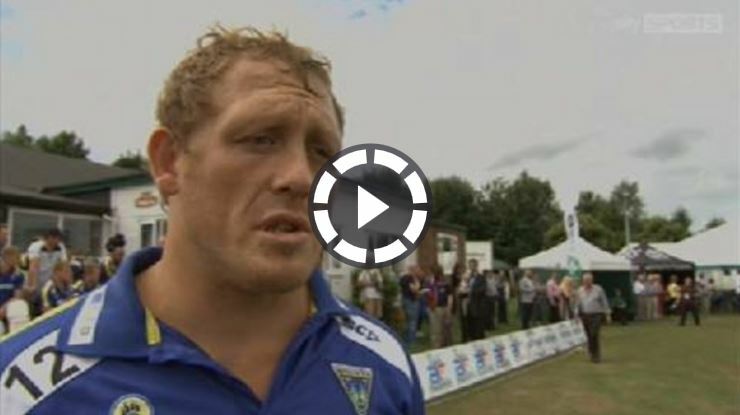 With that, Neil and organising group looked into the possibility of tying the event into Warrington and England Rugby League star Ben Westwoods testimonial year. And so the event was born. After 6 months of planning the hard work, blood, sweat and tears, finally came to fruition on Tuesday 30th July with the Betfred Big Bash featuring a warm up match between the Warrington Wolves and a Grappenhall XI, followed by the main event of England vs Australia. There were over 2500 people on our small ground to witness to truly fantastic day, with 500 seated in a corporate hospitality marquee, 400 in a tiered grandstand and the ground ringed with spectators 5 rows deep. The ground had never looked so good or been so packed, and it truly was a sight to behold. The crowds were treated to some very competitive cricket from both games and entertainment of the highest order. Up first the Warrington Wolves were out of their comfort zone as they took on a Grappenhall XI in a T20 match. The wolves players were great sports and with the entire squad down for a team bonding day, some big names from the world of Rugby tried their hand at cricket. Along with Ben Westwood, star names from the world of Rugby such as Local hero Lee Briers, coach Tony Smith, England star Richie Myler and Aussies Joel Monaghan and Trent Waterhouse took to the field and showed their competitive edge spills over into other sports. Some friendly bowling from the grappers lads allowed the Wolves to post a commanding 180 in their 20 overs, with Bennie Westwood the star of the show with the bat. Grappers chased down the total but full credit goes to the Wolves lads as they bowled well and took some excellent catches, always making it difficult for the grappers lads. In the end it was the right result with the game going down to the final ball and the Wolves winning by 5 runs, much to the delight of the crowd, amongst them some die hard rugby fans. And so to the main event, England against Australia. The England XI was the masters XI with players such as Neil Fairbrother, Devon Malcolm, Andy Caddick, Dominic Cork, John Embury and Mark Ramprakash. To add a little extra star dust to the England side, Andrew Flintoff took his place for England again. The Australia XI featured aussies such as Ian Harvey, Damien Martyn, Jeff Thompson, Dirk Nannes and Simon Katich. The aussies decided to add some extra star dust of their own, with aussie for the day, and Pakistani cricketing legend, Wasim Akram, wearing the green and gold of Australia. England posted a par total of 165 off their 20 overs with Chris Schofield and Dominic Cork scoring the bulk of the runs, as the Aussie bowlers including the once fastest man in the world, Thommo, making runs a little harder to come by than in the first game of the day. The aussies chased down the runs in the final over the game but always looked in control as the runs were knocked off for the loss of 1 wicket, with Simon Katich retiring on 50 and Damien Martyn and Ian Harvey making it look easy as the stroked the ball around the comparatively small looking Broad Lane pitch. So it was a win for the Wolves and a win for the Aussies. Not the results we had been hoping for but we had achieved what we set out to do by hosting a unique event on a big scale, raising some much needed funds for the club and local charities. The sun shone pretty much all day and everyone who was there to witness such a special day went home happy with some great memories. Below is the video from Legends Day from Sky Sports as part of their Boots 'n' All programme.